With hundreds dead and thousands stranded and an unprecedented disaster due to floods enveloping the nation, the question as to how prepared we are to face such an emergency situation has been dominating the minds of practically everyone. We have faced disasters in the past, the tsunami of 2004 being the worst and the most recent disasters included the floods in 2016 May, earth slip at Aranayake, Salawa armoury blast and Meethotamulla garbage dump collapse. Each time a calamity takes place it is customary that we talk about the need for strengthening our disaster management capabilities and the need for being really prepared. But the question is how practical we have been in our approach? Is merely having a disaster management ministry and a task force enough for the purpose? 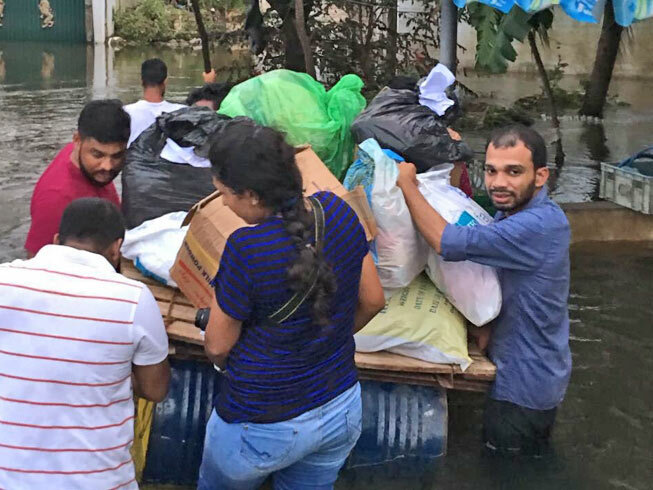 When we look at the recent disasters particularly the floods and its impact on citizens – the death toll and destruction to property, it is clear that our own contribution to the volume of damage is extremely high. These are mostly due to unplanned development such as highways and unauthorized construction and illegal settlement of people along riverbanks often with the backing of the politicians of the areas. The severe impact of the floods is due to many reasons. Often the politicians try to put the blame on the change of weather pattern, conveniently forgetting the other reasons which are mostly man-made. The unprecedentedly high rainfall in certain areas may be due to change of weather pattern, but the impact of this would have been increased manifold due to wrongly done mega developments. No doubt that the highways are a necessity for the development of the country. But some parts of these highways which according to the original plans were supposed to be constructed on pillars have been constructed on sand fillings blocking natural drain of water into the sea causing floods. It is alleged that flooding in Ja Ela and Kaduwela areas were aggravated due to this type of highway construction. The other reasons that made the flood situation worse are adverse development on the river valleys. The natural ponds and water absorbing buffer zones along rivers have been used for development or construction of houses. When these low lands are blocked with constructions the natural result is floods destroying the whole area. As already proposed stringent laws are now necessary to remove unauthorised constructions and to evacuate people who are unwilling to leave areas declared as danger zones in the face of a natural disaster. The vote-based political culture where local politicians collude with wrong doers in order to win the votes should also change forthwith, if we are to correct this situation. Future development projects, however vital they may be for the economic advancement, should be undertaken carefully with due consideration for impact on environment. Similarly, the haphazard expediting and change of vital aspects of infrastructure development projects with the idea of completing them within a certain period with specific political objectives should also stop. Thus all mega development projects should be treated as national projects and not taken as pet projects of any political leaders designed for their personal glory. Up to now disaster preparation has been limited to affairs of one ministry with arrangements for some task force to get into action and to get the logistical support of the three armed forces and police to evacuate those in danger or to rescue the affected. But if we are to mitigate the impact of these unfortunate acts of the nature, there is much to be done by way of proper planning and implementation and now it has become more urgent because of the increased frequency of these disasters. 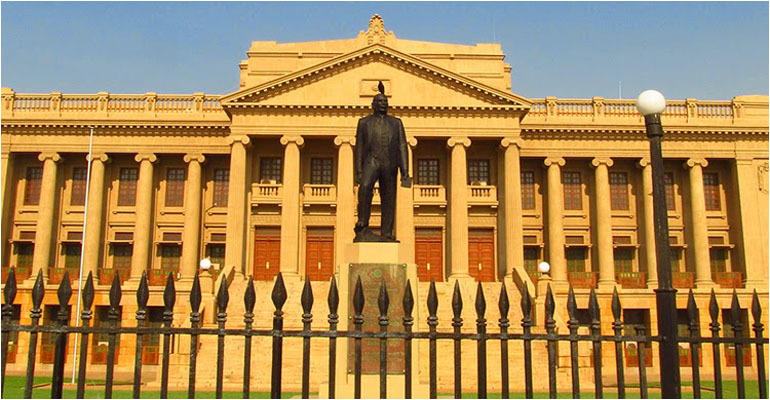 Some disasters like the Meethotamulla incident or the Salawa explosion could have been prevented if right action had been taken at the right time. However, there are disasters over which we have no control, yet their impact could be mitigated if proper plans are in place. When a major disaster takes place and people are affected it has to be managed and that is what we have been trying to do all these days and less attention has been paid for the removal of factors that have contributed to multiply the effects of these incidents. As we have just begun talking about introducing special legislation to enable authorities to evacuate people from disaster prone areas, it is interesting to note how Bangladesh a few days ago moved to evacuate nearly one million people from low-lying areas as powerful tropical cyclone Mora pounded the country's southern coastline. Our experience here is that despite warnings people are not ready to move out of danger areas mainly because people have no alternative places to go and it is practically difficult for them to do so, on their own. This shows that there has to be some mechanism with state involvement to remove people from danger areas. Perhaps Bangladesh which confidently undertook to remove such a massive number of people has some mechanism in place and it’s time to learn from the experience of such countries. The inability of our Meteorology Department to give an accurate weather forecast has also been highlighted these days probably as a way of making someone the scapegoat for failures of others. It was pointed out that the damage caused by natural disasters, including floods, could have been avoided in the past if institutions such as the Department of Meteorology had been modernised. 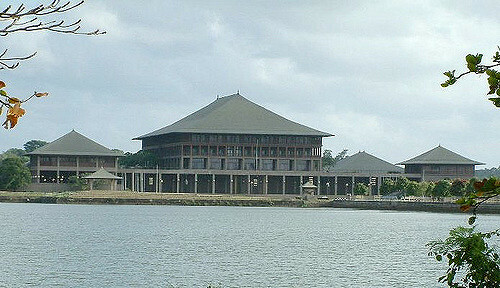 It is pertinent to recall that in 2012 then minister of disaster management boasted that a new Doppler radar system would be installed at Gongala Kanda in Deniyaya and with that advancement Sri Lankans could go out with an umbrella when the Met Department predicts rain and without one if it predicts good weather. However, five years down the line we are still in the same predicament even after having spent much on new technology. The system, for whatever reason is not functional and this time too accurate predictions have not been possible. It is reported that there had been some malpractices in the purchase and installation of that system and some damage had been caused to the machine during the installation process and it had been lying idle for few years before it was sent to the manufacturer for repairs. That is a clear example for the kind of priority that has been given for accurate weather forecast in our country although these things are given much priority in discussions whenever floods wreak havoc in some part of the country. That shows there is something fundamentally wrong in the way we work and despite all good intentions there are reasonable doubts as to whether we as a country will be capable of putting in place a proper disaster preparedness mechanism even in another five years. At the rate things are happening there could be many more disasters by that time. A proper disaster mechanism is much more than mere weather forecast. Such an arrangement should include the participation of all relevant authorities such as the UDA, local authorities, police and armed forces, departments of health, irrigation and meteorology as well as presidential secretariat backed by a proper legislative mechanism which can be activated during an emergency. All in all, preparedness for this type of disasters is as important as developing the country’s economy. It is the same people who are supposed to be beneficiaries of economic development that becomes victims of disaster situations when development plans are implemented in disregard of environmental impact. Some politicians have already started blaming the previous administration for floods caused in certain areas due to haphazardly undertaken infrastructure projects. However, these developments are not reversible and now there is a strong need for a complete non-political approach in dealing with this problem on a long term basis. What is necessary now is the political will on the part of the current administration to take the vital decisions that are necessary to minimize the harmful effects of both natural and man-made disasters.